Here at our Glasgow practice, we understand how challenging it can be to take the first step towards hair transplant surgery. In the first instance you may have more than a few questions that still need answering before you make a final decision. That’s why we recommend our free, no-obligation hair transplant surgery consultation directly with our fully trained trichologist. Hair transplant surgery – what’s involved? At our state of the art clinic we employ techniques and services that have been finely researched and we only use those which have been proven safe yet highly effective in producing excellent, tailored results. At the Glasgow clinic we have one of the best equipped and most surgically advanced hair transplant practices in Glasgow and indeed the whole of Scotland. We have a limited number of consultations each day so when you do come in for a consultation you will never feel rushed, we can arrange these at a time that suits you even out of normal working hours or weekends and our patient welfare and comfort is an absolute priority in every hair transplant surgery procedure or treatment we do. We strongly believe excellent results require an excellent team effort and we have one of the most experienced teams in Scotland. We are proud of the fact we have courteous, knowledgeable staff who provide continued support as we believe that fully informed patients make the best decisions. Our hair transplant surgery clinic has exemplary facilities reflecting the excellence of our hair transplant, hair replacement and hair restoring surgery. Whenever you do visit us you can be assured of a pleasant and efficient experience each time. Hair transplant surgery -where to start? 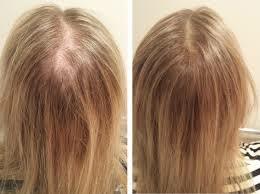 Starting any hair transplant surgery process can be daunting however we have made things so much easier. What we offer is a FREE initial consultation here at our Glasgow clinic. To arrange this simply call one of our experienced staff on 0141 280 2656 today!